We know you want the all-new iPhone 7. So we’re giving one away! The iPhone 7 is officially here, and we know you can’t wait to get your hands on it. You know what would make owning this cutting-edge device even better? Not having to pay for it. You can enter to win an Apple iPhone 7 now, via our limited-time giveaway! We now know the iPhone 7 is just as innovative as we expected. Apple made the decision to do away with the headphone jack and go completely wireless. The company also created its most impressive camera yet, which will be sure to help you fill your Instagram feed with incredible photos—even some underwater, thanks to the device being water resistant. It’s everything you’ve ever wanted out of your smartphone, and more! 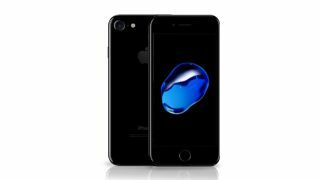 You can enter for your chance to win the all new iPhone 7 right now! All you have to do is register and click the "Enter Now" button. It's an opportunity you won’t want to pass up, so get in on this giveaway today!